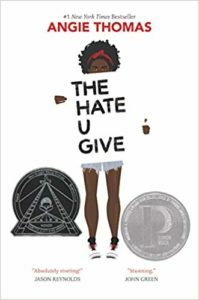 Last August I blogged about science fiction and fantasy books I’d recommend for elementary, middle school, and high school students. 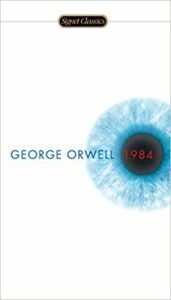 Last week I blogged about science fiction books I’d recommend to adults who are unfamiliar with that genre. 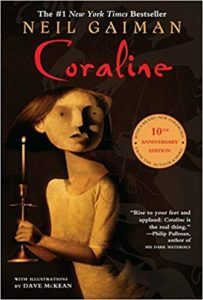 Today let’s talk about books that are a wonderful introduction to fantasy in general for anyone who hasn’t explored this genre yet. I’m much more selective about what types of fantasy fiction I read than I am about science fiction. On the positive side, once I fall in love with a fantasy story I will become one of it’s biggest advocates for many years to come. I generally have a preference for fantasy tales that were written for children or teenagers for reasons that are hard to tease out. 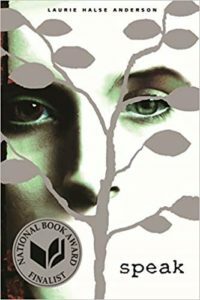 This list reflect that, although there are still plenty of novels for adults on it as well. 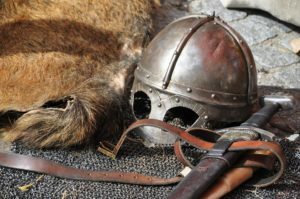 Fantasy is a genre that requires a lot of world-building in order to make an unfamiliar place feel like home for the readers, so there won’t be any short stories in today’s post. Longer novels usually do better in this regard in my experience. Finally, I gravitated towards books that have been made into films, TV shows, mini-series, or plays. I often prefer to watch fantasy rather than read it because of how rewarding it is to see a world I’ve spent years dreaming about finally come to life, dragons or intelligent little rabbits and all. Nearly all of the recommendations below have been transformed into one of these things at least once. 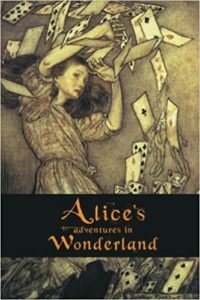 First of all, everyone’s heard of Alice’s Adventures in Wonderland. There are references to it everywhere, and for good reason. This was actually one of the first fantasy tales I ever read, and it’s something I enjoy going back to visit again every so often. The scene that made me a lifelong fan was the one where Alice drank a potion and magically shrunk to a fraction of her size. I giggled the first time I read it, and it’s still charming to me to this day. 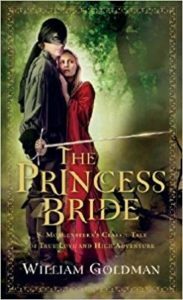 I saw The Princess Bride movie years before I had any idea it was based on a book. It was a fairy tale that seemed to somehow be self-aware, and it was like nothing I’d never read or heard of before. I’m still not entirely sure if it was supposed to be a kindhearted parody of the fantasy genre or an homage to it. Given the tongue-in-cheek but ultimately warm and supportive writing style, it’s probably a little of both. What I do know about this story is that it’s timeless and appeals to kids and adults alike. To me, this is a sign of great fantasy. 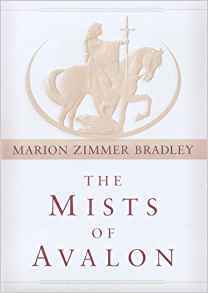 Before I read The Mists of Avalon, I’d never known that retelling a classic legend from the point of view of an antagonist was something that had been or could be done. Morgan le Fay was someone I’d barely heard of at that point, and all of the reference to her in the versions of the older King Arthur legends I had read were fairly negative. It came as a shock to me, then, to read about Arthur’s life and kingdom from the perspective of Morgan. 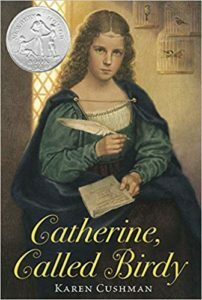 I was fascinated by all of the details of her life that the author invented in order to explain why this character made certain decisions and why the other characters didn’t always understand her. Morgan became much more human and likeable to me after I finished The Mists of Avalon. 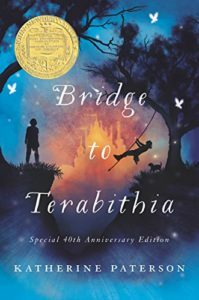 Bridge to Terabithia by Katherine Paterson. Creating imaginary worlds and then playing in them is arguably one of the best parts of childhood. Terabithia was as complex and magical as any other world a kid could imagine, and I loved reading about Jesse and Leslie’s adventures there. This is also one of the few fantasy novels I’ve ever read that had a sad ending. I don’t give generally give away spoilers in my posts, but I would recommend being cautious with this one for readers who are younger or sensitive. Every once in a while I run across someone who has never read the Harry Potter series. I’m slightly surprised every time it happens, but I’m sure there are other series out there I haven’t tried yet that others would have the same reaction to. This series is a smart introduction to modern fantasy for a few different reasons: it has a large fanbase; the movies were well done; the story telling only gets stronger as the series continues. It’s also aged well and is something I expect people to continue to read for generations to come because of that. I have one word for you: puns. This story is brimming with them, and it only makes the Kingdom of Wisdom even more amusing than it would have been otherwise. I also enjoyed the messages embedded in this one about the importance of education and the wonders you can discover if you explore the world around us with curiosity. The fantasy genre can be quite good at exploring messages like these without feeling preachy or pushing the main plot off topic. 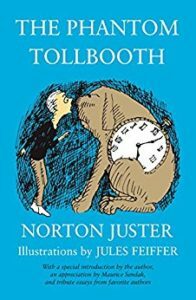 The Phantom Tollbooth did a fantastic job of showing the readers the importance of these things without skimping on the development of the plot. 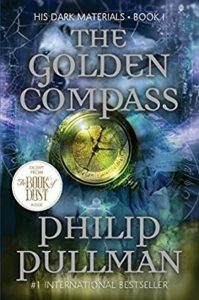 The Golden Compass by Phillip Pullman. Disclaimer: I haven’t read the other two books in this trilogy yet. My recommendation only extends to The Golden Compass at this point. This is the heaviest and most complex book recommendation for today’s post. I almost deleted it and replaced it with something else, but I eventually decided that it should stay. Complexity isn’t a bad thing, and neither are stories that are darker than what is typical for the age range or genre they were written for. How do you know what is real? What do you do when your experiences of the world don’t match the orthodox explanations for how things work? When should – and shouldn’t – we trust authority figures simply because they’re authority figures? These are hard questions for adults to answer, and they’re even tougher for kids to comprehend. I enjoyed seeing how Lyra tried to figure out what the truth really was regardless of who wanted to stop her. 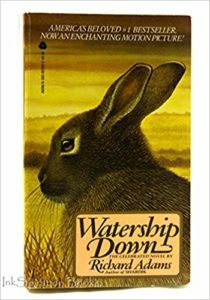 Watership Down was something I discovered shortly after I developed my love of rabbits. The idea of reading an entire story about a fluffle* of rabbits who were searching for a new home was quite appealing, and I only enjoyed it more once I realized just how unique each rabbit was and how much they all mattered to the plot as well as to their urgent need to find a safe place to call home. *No, I am not being cutesy here. This is the technical term for a group of rabbits, and I love it. Not only is this a classic Christmas story, it’s a magical glimpse into what fantasy can look like if its set in an urban society that barely seems aware of its existence at all. Out of all of the different types of fantasy out there, this one is my favourite. It’s exciting to find the subtle hints that a fantasy realm has influenced an otherwise completely ordinary society. 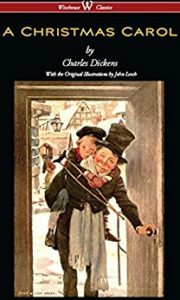 Having such an ordinary setting also made Scrooge’s encounters with the Ghosts of Christmas Past, Present, and Future even more poignant than they would normally be. Who would have guessed that such a wealthy, greedy, and powerful man was being quietly watched by beings who desperately wanted him to change his tune before it was too late? Will the world end with a bang or a whimper? This novel was so long that I only managed to read through the whole thing once. 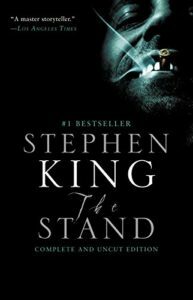 All of those extra pages and scenes were used to to create a frightening world in which 99.4% of the human population died from an unforgiving virus that had been accidentally released into the general human population. The survivors were gradually separated into two distinct groups, one lead by a devil figure and the other lead by a woman who is fighting on the side of good. That’s when the plot became a must-read for me. This is such a classic trope in the fantasy genre, and it was explored fully in The Stand. How about you? 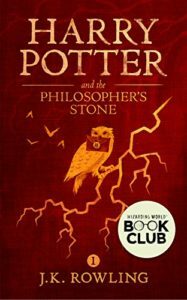 What fantasy books would you recommend to new readers of this genre?